It was a yucky fall day. We’d had a series of car repairs, house repairs, and doctor bills. Extra money I “found” in our budget was consumed by rising grocery prices and a utility rate hike. We were feeling discouraged. It felt like we were never going to get ahead. And then I took a look at our annual credit report and our most recent bank statements. In that report, I saw all of the debt we had paid off. In the bank statements, I saw that those balances were slowly climbing. We still had a long way to go to reach our goals, but seeing our progress encouraged us. Even though we felt stuck, we were moving – albeit ever so slowly – in the right direction. That day reminded me of the importance of seeing your hard work pay off. We need to see that we our efforts are not futile. We need to know that the things we are doing are making a difference. I’ve often said that the little things we do with our money can add up to big things. But what if there was a way that we could actually see that happen? One of the best ways to see what personal finance progress you’ve made is to actually crunch the numbers. For the number-averse folks out there, don’t worry! There are many online calculators that can help you see exactly how much progress your frugal efforts are making. You just need a basic understanding of your own personal starting point and know your financial goals. The Debt Payoff Calculator at The Simple Dollar offers the perfect example of what paying just a little extra on your debt can do for your financial situation. Let’s say that you owe $5,000 on a credit card with an 18.9 percent interest rate. If you make a minimum monthly payment of $100 a month, it will take you 9 years to pay it off. NINE YEARS. Paying an extra $20 a month on that minimum payment will shave 3 years off the time it will take you to pay off the card, and you’ll save $558.19 in interest. Pay an extra $50 a month on your credit card bill, and it will only take you 4 years to pay off the debt. You’ll save $1473.64 in interest payments. Get really aggressive with paying off your credit cards and you’ll save even more money. I love this calculator because it shows that scraping up a little bit of extra money to use toward paying off debt makes a difference. It also shows you just how much money your debt is costing you, which gives you a pretty good reason to stay away from accumulating more debt. Bankrate has a spending calculator that also illustrates how making simple lifestyle changes can help you improve your net worth. First, you select your savings or investment options (i.e. estimated investment returns and taxes on those earnings). Then you can see how changes to your entertainment budget (i.e. eating out and vacations) can impact your savings. In the third part of the calculator, you can play with the numbers to see how clipping coupons, paying off credit cards, and holding off on a new car purchase can contribute to your savings. 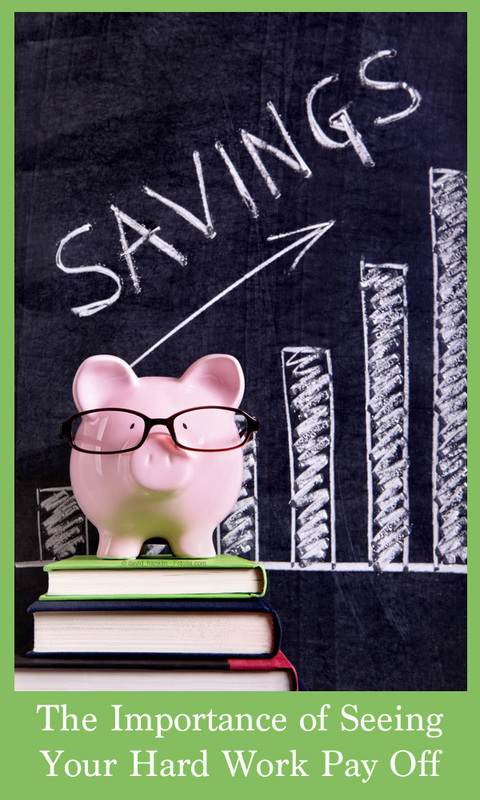 And finally, you can figure out how saving on your utilities can bring you closer to your savings goals. Let’s say that you choose to spend $100 less per month eating out and you are determined to save $20 a month using coupons. In five years, you could have $7,246 saved. If that money were invested well, it would be worth much more than that in several more years. And that’s just one example. If you were to save just a little bit of money in multiple areas of your life, you could make your personal finance goals much easier to attain. A quick search of the internet will show that there are a wide variety of free online calculators to help you explore every aspect of your personal finances. (Bankrate has a lot of good ones!) Use these tools to help you see not only the progress you’ve already made, but the difference you could make in your financial future. Whether you’re trying to get motivated to make financial changes, or you’re trying to get a spouse or family member on the same page as you, seeing the numbers can make a world of difference. So crunch the numbers. Write your progress with a dry erase marker on your bathroom mirror. Leave yourself a sticky note with a reminder of your goals or how much debt you’ve paid off. Use those reminders to keep pushing forward. You can do this! Oh, I like that spending calculator, thank you! And I totally get how easy it is to get discouraged… It feels like we are constantly denying ourselves, while people we know to be broke are living the good life with restaurant meals, vacations, and a steady stream of new STUFF. But so many of those folks are gobsmacked when things come up like car repairs, medical needs, and the constant increases of grocery and utility prices. Not progressing on our goals as quickly as we’d like is disappointing, until, like you, we are able to look at the bigger picture and realize that we COULD pay for those unexpected expenses and remain debt-free. And although we aren’t living the high life like some of our spendier friends (not ALL of whom are broke! ), that kind of financial clarity is a bigger comfort than getting our short-term desires sated. That peace of mind just can’t be beat! Yeah, when I get frustrated, I look at our savings account balance. We might not make any progress that month. We might even have had to take money out of savings. But we’re doing okay towards the cost of Tim’s dental implants.